If you have many images you wish to use as a gallery, you need to add a File Upload field to your Gravity Forms form (if it doesn't already have one), then enable functionality using the steps below. Note: the gallery currently only works with images, not audio or video uploads. 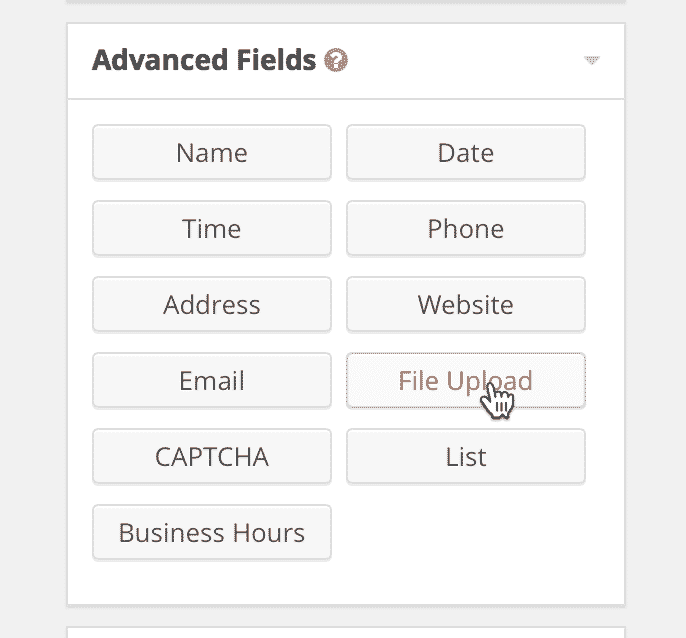 (If your form already has a File Upload field, you can skip this step.) 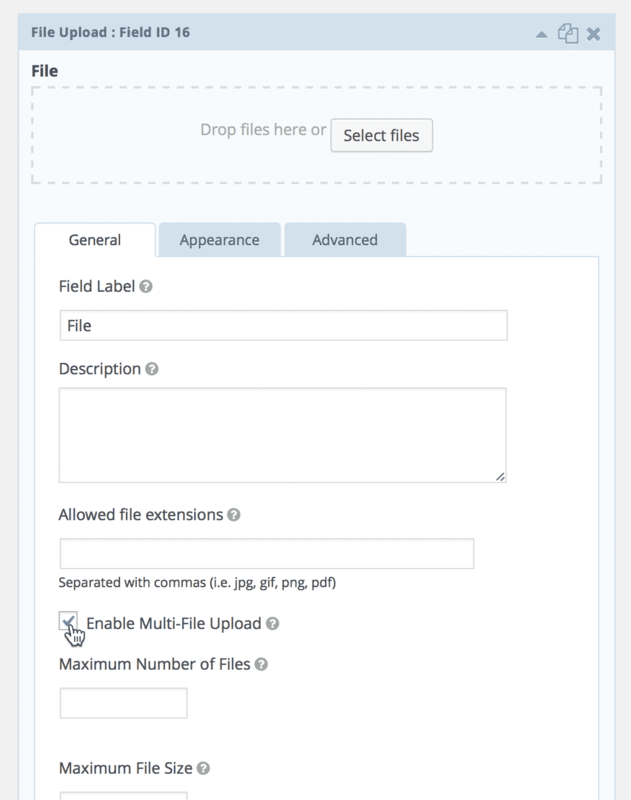 In the Gravity Forms editor, click File Upload to add a File Upload field. Check the setting named "Enable Multi-File Upload" to allow uploading more than one image at a time. This will allow the images to be grouped into a gallery, instead of shown one-at-a-time. Choose the field you want to turn into a gallery. Set the Custom CSS Class to "gv-gallery"
If you don't enable the lightbox, the images will still look better, but the slideshow functionality will not work. See the bottom of this how-to for an example. You can add as many images as you like. Once uploaded, they will be displayed as a gallery. 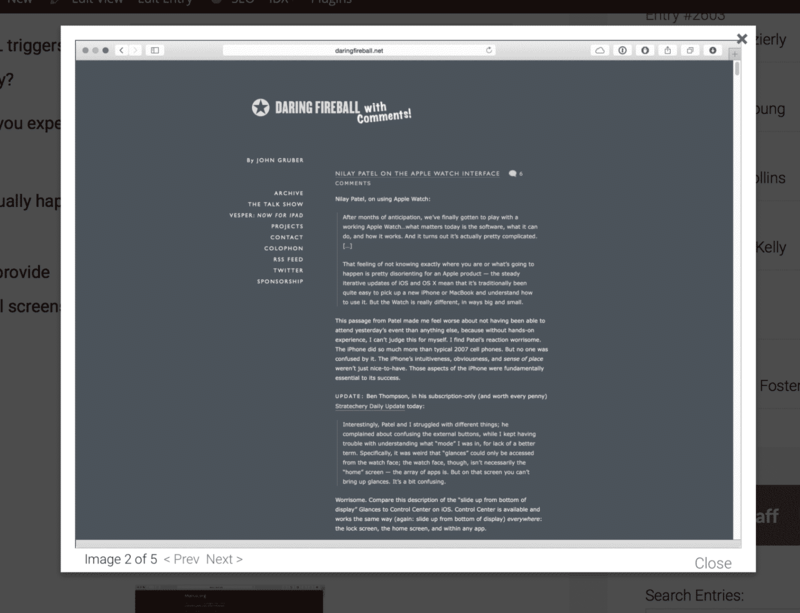 Before, each image is displayed full-size and as a bullet list. 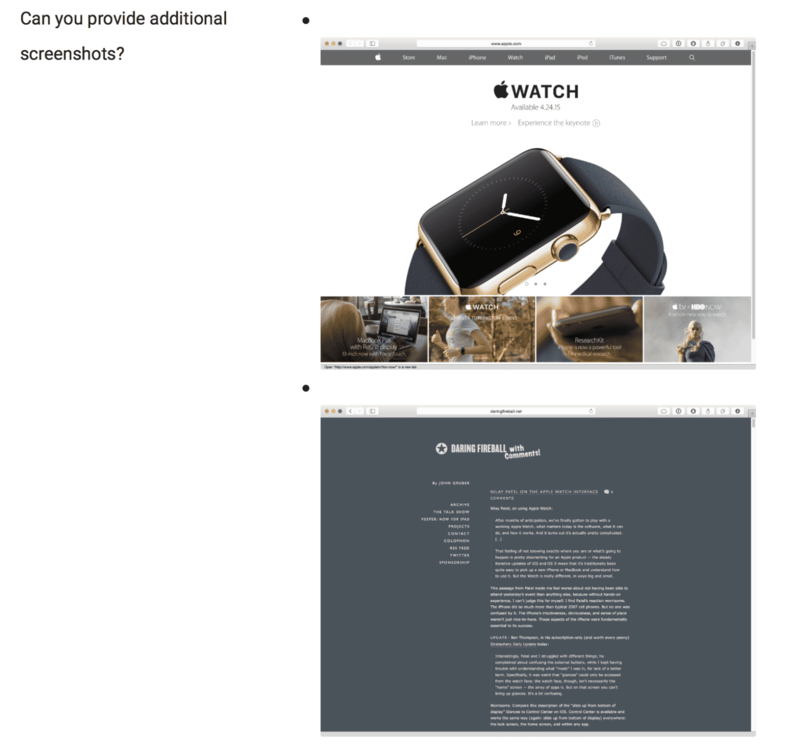 After, the image sizes are reduced and the images are displayed as a grid. 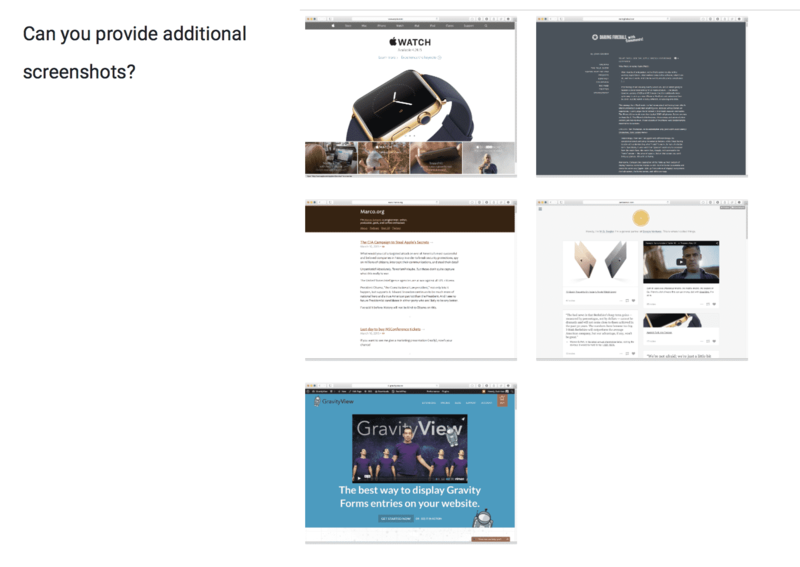 You can then navigate between the images using the "Prev" and "Next" links.